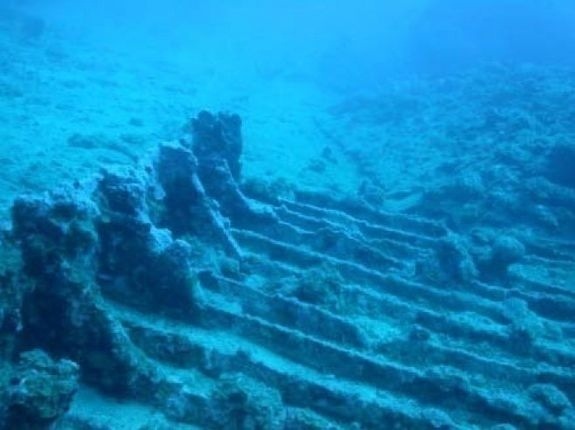 Everyone has heard the story of the lost city of Atlantis, but what about the Bimini Road? 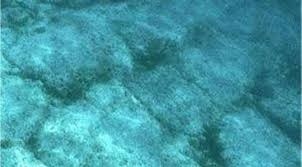 In 1968 an underwater rock formation was found near North Bimini Island in the Bahamas. It is considered by many to be naturally made, but because of the unusual arrangement of the stones, many believe it to be a part of the lost city of Atlantis (first spoken of by Plato). In a more recent expidition, amateur archeologist Dr Greg Little discovered another row of rocks in the same formation directly below the first, leading him to believe that the road is actually the top of a wall or water dock. One possible natural explanation is that the “road” is an example of tessellated pavement, a natural phenomenon. Concretions of shell and sand form hard sedimentary rock which over time fractures in straight lines and then at ninety degree angles. They are quite common and a popular tourist attraction on the island of Tasmania. The Bimini road of the Bahamas is a single-dimensional set of stones extending from the North-east to the South-west part in the Northern part of the island. The stones are rectangular in shape and are almost 20 feet under the water. The overall length of the Bimini wall, as it is synonymously known, is about 0.8 kilometres long before it arcs into a J-like formation.